the managing director at BWB. Kimmo Pitkänen Ph.D Director of Helsinki Biobank. PhD from molecular biology of cancer. Experience from several expert positions at Academy of Finland, Tekes, European Commission DG Research, the Ministry of Social Affairs and Health and FIMM, University of Helsinki. Over 13 years of experience in ethical and legal questions of biobanking. Before joining Helsinki Biobank, he participated in the build-up and registration process of two disease specific biobanks (Helsinki Urological Biobank and Finnish Hematology Registry and Biobank FHRB). International missions in developing countries on Food safety and quality control and assessments for microbiological laboratories. Experienced in Food safety and Public health. Broad laboratory competence including management, logistics, LIMS, microbiology. Joanna Baxter completed her PhD in 2003 from the University of Southampton, UK, studying rare chromosomal translocations and mutations in myeloid malignancies with Prof Nick Cross. Her postdoctoral studies included the discovery of the JAK2 mutation in MPNs in the lab of Prof Tony Green in Cambridge, before moving into her current role in 2009. She is the Lead Scientist and Custodian at Cambridge Blood and Stem Cell Biobank, a resource for research into Haematological malignancies, stem cells, normal haematopoiesis and immune developement, based on the Cambridge Biomedical Campus on the Addenbrookes Hospital site in Cambrdge. Alongside promoting biobanking in blood cancer research she is married with two young children. Kathrine Bancroft is a Legal Counsel at UK Biobank. Kathrine joined the legal team of UK Biobank in 2014, having previously worked in private practice and in-house at a variety of commercial organisations. Kathrine completed her LLB (Hons) at the University of Liverpool in 2001 and went on to train with international law firm Squire Patton Boggs where she qualified as a solicitor in 2005. Kathrine is part of a team at UK Biobank who oversee the diverse legal and regulatory requirements of UK Biobank. UK Biobank is one of the largest medical research resource in the world and is composed of data and samples for just over 500,000 UK participants who were recruited between 2007 and 2010. Dr. Veronique T’Joen is Biobank Manager of the Bioresource center Ghent. She obtained her Master degree in Biomedical Sciences in 2006, with a specialization in tissue engineering and regenerative medicine. She worked two years as a process engineer for the Red Cross tissue banks (Cord blood and stem cell banks). Subsequently, she earned a PhD further specializing herself in cell culture techniques (hESC) and cryopreservation/thawing techniques. Since 2012, she is the biobank manager at Ghent University Hospital. She has set up a central state-of-the-art biobank facility, with a quality and data management system. She is an expert in operational biobank planning (sample flows, collection, storage, distribution), quality management (national and international biobank guidelines, CEN/TS standards, ISO standards) and ethical-legal issues. My biography is as follows: Dr Laura Palmer studied at the University of Bristol where she completed her degree in Pathology & Microbiology and later her PhD in Neuroscience. Laura joined the South West Dementia Brain (SWDBB) in 2004 as a research technician and now manages this important resource and its team. Whilst working in her SWDBBB role, Laura undertook a part-time PhD between 2006 and 2014 that was almost entirely conducted upon tissue from the SWDBB. Her research involved the Renin Angiotensin System (an important enzyme pathway and signalling system that acts to control blood pressure, fluid balance and hormone secretion) and Alzheimer's disease. Richard is a Microsoft certified software developer specialising in database technology and its applications for healthcare research. He is currently the database developer and manager for the MRC brain banks network and “Brains for Dementia Research” and has developed the UKBBN database and web-application https://brainbanknetwork.cse.bris.ac.uk, which is a secure online tool allowing biobanks, researchers, and funders to manage and view data across 10 tissue-banks distributed through the UK. As Head of Data Services and Biobanking at FIND, Dr. Stefano Ongarello oversees the data-related activities of the organization, including data-driven decisions, statistical planning and analysis, data managing of clinical trials, and the operational aspects of the specimen bank. In his previous roles, he worked for many years in the pharmaceutical industry in biomarker discovery, focusing on personalized medicine, mostly in oncology and rheumatology, and more recently on diagnostics for HIV. Stefano graduated in Computer Science Engineering from the University of Padova, Italy, and later obtained his PhD in Bioengineering from the same university. Professor Jens K. Habermann, M.D., PH.D., is Director of ICB-L (Interdisciplinary Center for Biobanking-Lübeck) and Scientific Director of UCCL (University Cancer Center Lübeck) at the University of Lübeck and University Clinic Schleswig-Holstein. He obtained his Ph.D. at the Karolinska Institutet (Stockholm, Sweden) and Postdoc training at the NCI, NIH (Bethesda, USA). As specialist in human genetics, he combines clinical routine, biobanking, and cancer research to optimize individualized medicine by targeting tumor heterogeneity and applying liquid biopsies. Prof. Habermann is President of ESBB (European, Middle Eastern & African Society for Biopreservation & Biobanking) and board member of GBA (German Biobank Alliance). Tony Burdett leads the Archival Infrastructure and Technology team, developing services and delivering infrastructure to support the activities of EMBL-EBI’s molecular archives. He joined EMBL-EBI in 2005 and has personally built and led development teams for many resources such as the GWAS Catalog, ArrayExpress, the Expression Atlas and BioSamples. His team now develops the ingestion service for the Human Cell Atlas Data Coordination Platform. Tony has a biological and medical background, having spent some time at medical school before graduating with a BSc in Biomedical Sciences and a MRes in Bioinformatics from the University of Newcastle-upon-Tyne. He has a special interest in developing federated, cloud-based data platforms and has many years of experience in developing semantically-rich RESTful APIs for the submission and distribution of life sciences data. He takes pride in his ability to marry profoundly complex biological problems with the very latest development techniques to create highly accomplished, open source, reusable software and services. · Lightweight metadata exchange mechanisms between BioSamples and biobanks. Sofia Spyrou has over six years of experience as a production manager. She joined the UK Stem Cell Bank at NIBSC in 2016 and currently manages the day to day banking operations. Her focus is to review, bank and distribute the MRC funded “EUTCD-Grade” human embryonic stem cell lines. This requires following the Human Tissue Authority’s directions on meeting the EU Tissue and Cells Directive. Sofia is responsible for overseeing the complete UK Stem Cell Bank banking process which includes due diligence, banking under GMP conditions, validated QC testing and distributing lines to both national and international customers. Alison Parry-Jones is the Manager of the Wales Cancer Bank (WCB) based in Cardiff. Her PhD is in analytical chemistry, she has an MA in Medical Ethics and Law and she is a PRINCE2 registered practitioner. She is the Director-at-Large for the Europe, Middle East and Africa region for the International Society for Biological and Environmental Repositories (ISBER) and is part of a working group with ASCP developing a biorepository qualification. She is one of two UK representatives on the common service ELSI team for the BBMRI-ERIC and is a member of the Steering committee for the UKCRC Tissue Directory and Coordination Centre. After 20 years, ISBER and their 4th Edition Best Practices continue to evolve and support the global approach to repository management. In this session, David will share highlights and global trends in biobanking. In addition, he will spend time discuss the new ISBER Best Practices, Cryogenic Storage Facility addendum done in conjunction with the Society for Cryobiology. This addendum was developed to support the research associated with the use of cells and other products reliant on storage temperatures below -135C (Tg). Dr Mattos Lacerda is a Clinical Assistant Professor at the London School of Hygiene & Tropical Medicine, co-founder of the UK Myalgic-Encephalomielytis/Chronic Fatigue Syndrome (ME/CFS) Biobank (UKMEB), and Vice-Chair of the EUROMENE (European ME/CFS Network). The UKMEB is a disease-specific bioresource, which was established to prompt high-quality biomedical research in the field, and which was nominated runner-up for the 2018 UK Biobank of the Year Award. EUROMENE brings together researchers and clinicians from over 20 countries in Europe, aiming to develop standards for research and health services for people with ME/CFS in the continent. Robert Hewitt has a medical degree and PhD and worked in cancer research both as a lecturer in pathology (Nottingham, UK) and a visiting fellow at the NIH (Bethesda, MD). Since 1998 he has established/managed biobanks in London, Saudi Arabia, Singapore and Luxembourg. He was President of ISBER in 2007. He co-founded ESBB in 2010 and served as the sole employee until 2017. After one year of industry experience working for Trans-Hit Biomarkers, he now works independently as a consultant and promotes collaboration between academic biobanks and industry. He runs the ‘Drug Targets & Biomarkers’ group on LinkedIn. View details Achiever Medical Sponsors and Exhibitors http://www.interactivesoftware.co.uk Achiever Medical is a comprehensive Next-Generation Sample Lifecycle Management solution, different to traditional Laboratory Information Management (LIMS) and Sample Tracking systems. See how Achiever Medical 5.5 helps users to streamline processes, exceed compliance, make informed decisions and improve resource usage. •	Solve the problem of legacy data. •	Futureproof your investment •	Take ownership of your solution. View details Topa Thermal Sponsors and Exhibitors http://www.Topa.nl Topa Thermal is a global leading innovator and supplier of thermal systems, designed to support the safe distribution of medicines, vaccines and other life saving healthcare products for the pharmaceutical, biotech, medical industries and third party logistics. We provide a large selection of thermal packaging components and the most comprehensive engineering and testing services available in the industry. Our temperature assurance solutions keep your most valuable and sensitive products within a safe temperature range during transit. In our design and ISTA™ testing laboratory, we engineer packaging solutions that works for you, meeting your challenges in terms of specific time and temperature requirements. 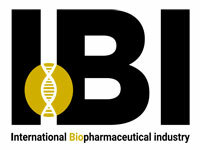 View details Biobanking Official Media Partner http://www.biobanking.com Biobanking.com is a global biobanking industry portal. We are trying to help the global biobankers and researchers stay ahead of the critical industry trends and do a better job. Our site is updated regularly with the latest industry news, research, upcoming events and insightful articles from expert contributors. You can also find the top biobanking vendors, products & services in our global directory. In a word, we are dedicated to be the leading resource for biobanking industry news and information. View details Biopreservation & Biobanking Journal Supporters http://www.liebertpub.com/bio#utm_campaign=bio&utm_medium=conference&utm_source=smibio15 Biopreservation and Biobanking is the first journal to provide a unifying forum for the peer-reviewed communication of recent advances in the emerging and evolving field of biospecimen procurement, processing, preservation, and banking. The Journal publishes a range of original articles focusing on current challenges and problems related to the processing of macromolecules, cells, and tissues. It also explores the ethical, legal, and societal considerations surrounding biobanking and biorepository operation. Achiever Medical is a comprehensive Next-Generation Sample Lifecycle Management solution, different to traditional Laboratory Information Management (LIMS) and Sample Tracking systems. See how Achiever Medical 5.5 helps users to streamline processes, exceed compliance, make informed decisions and improve resource usage. •	Solve the problem of legacy data. •	Futureproof your investment •	Take ownership of your solution. Topa Thermal is a global leading innovator and supplier of thermal systems, designed to support the safe distribution of medicines, vaccines and other life saving healthcare products for the pharmaceutical, biotech, medical industries and third party logistics. We provide a large selection of thermal packaging components and the most comprehensive engineering and testing services available in the industry. Our temperature assurance solutions keep your most valuable and sensitive products within a safe temperature range during transit. In our design and ISTA™ testing laboratory, we engineer packaging solutions that works for you, meeting your challenges in terms of specific time and temperature requirements. Biobanking.com is a global biobanking industry portal. We are trying to help the global biobankers and researchers stay ahead of the critical industry trends and do a better job. Our site is updated regularly with the latest industry news, research, upcoming events and insightful articles from expert contributors. You can also find the top biobanking vendors, products & services in our global directory. 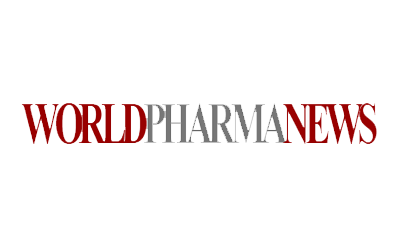 In a word, we are dedicated to be the leading resource for biobanking industry news and information. Biopreservation and Biobanking is the first journal to provide a unifying forum for the peer-reviewed communication of recent advances in the emerging and evolving field of biospecimen procurement, processing, preservation, and banking. The Journal publishes a range of original articles focusing on current challenges and problems related to the processing of macromolecules, cells, and tissues. It also explores the ethical, legal, and societal considerations surrounding biobanking and biorepository operation.